Master degree in psychology (NRU Higher School of Economics, Moscow), master degree in philology (University of Latvia, Riga). Both master theses are dedicated to researching cults and sects. The psychological thesis researches peculiarities of emotional experience of cult followers during active involvement in a group and after leaving it. The philological thesis has considered the sociolinguistic aspects of the notion “sect” in the Post-Soviet space. Based on the existentially analytical approach of Alfried Langle (a disciple of Viktor Frankl), she has developed the programme “Life afterwards” for psychological rehabilitation of former cult followers. Svetlana Krilova took part in several scientific conferences (Moscow State University, Peoples' Friendship University of Russia, HSE). She has published academic articles on psychology and sociolinguistics. 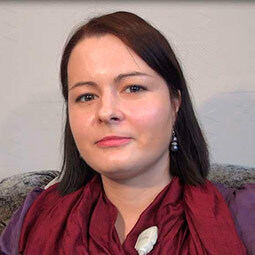 Since 2011, Svetlana Krilova has worked in the Latvian Committee for Combating the Totalitarian Sects. She is a member of the International Cultic Studies Association.